Boasting the only skyscraper vista in Germany, Frankfurt offers an unusual blend of high commerce and high art. 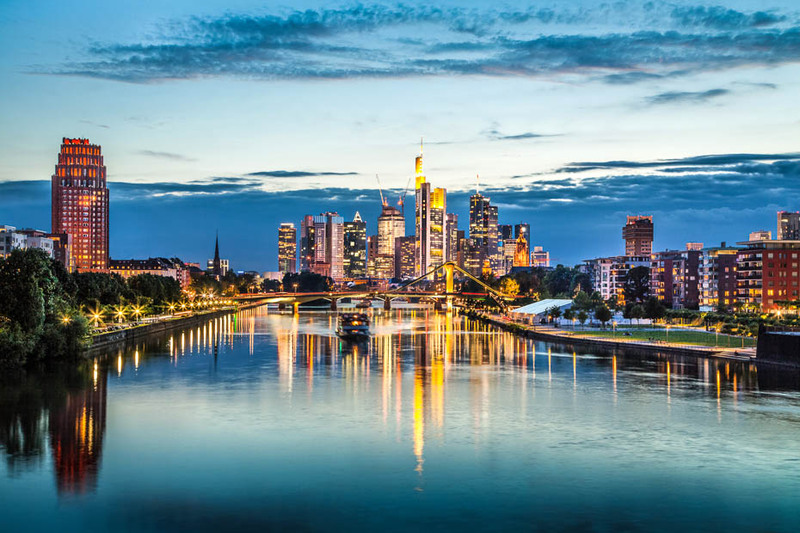 Frankfurt is easily considered the vibrant centre of business and culture, and, although it’s more Manhattan than Berlin, the city is a favourite with regular visitors to Germany. The skyscrapers, for a long time considered the ugly face of modernism in the city, are now lauded as an attraction. The remnants of its old centre are juxtaposed against the most modern of office blocks, including the highest skyscraper in Europe, the Commerzbank. The massive edifice completely dwarfs the nearby Paulskirche, the site of the meeting of the first German parliament in 1848. Although much of the city was destroyed in WWII, Frankfurt has done a lot to rebuild its reputation as a cultural centre. Eventhough it can’t replace the medieval buildings permanently lost in the Allied bombing of the city, Frankfurt now spends more on arts than any other city in Europe. The result is a hard fought worldwide reputation as a centre for all the arts, with over 40 museums and a wonderful programme of exhibitions and performances. 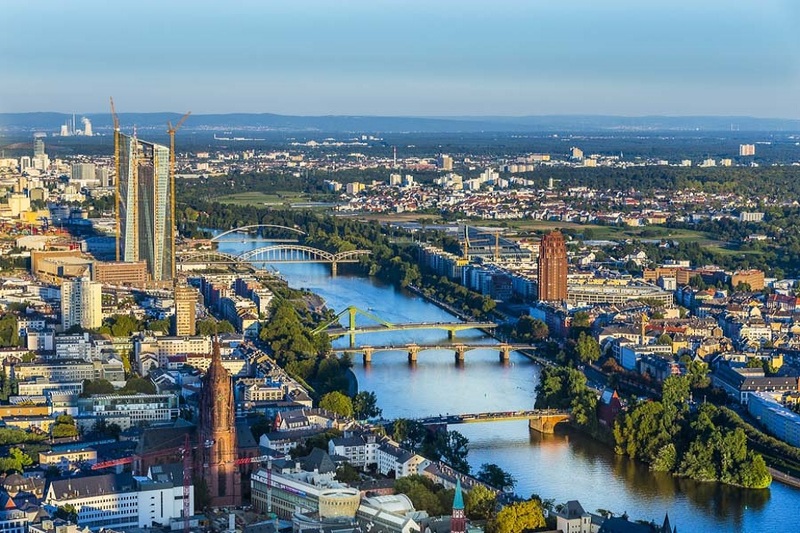 Frankfurt also has Europe’s largest airport and busiest train station and, as such, justifiably lays claim to being the transport hub of the continent. 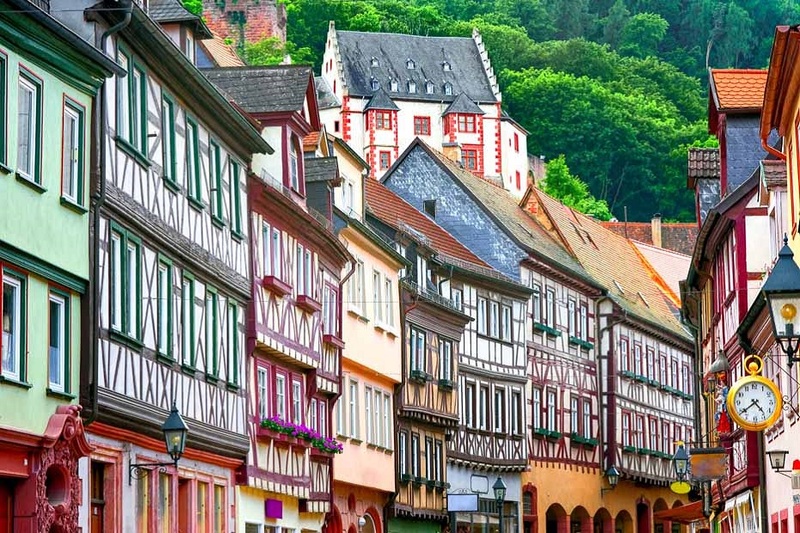 For the tourist it’s ideally situated for excursions to Wiesbaden, Heidelberg, the Taunus Mountains and cruises down the Rhine.